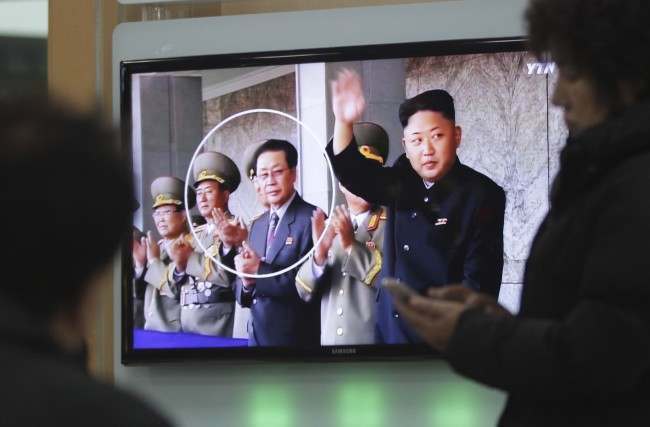 NORTH Koreans leader Kim Jong-un has approved the execution of his uncle Chang Sung Taek for “acts of treachery”. 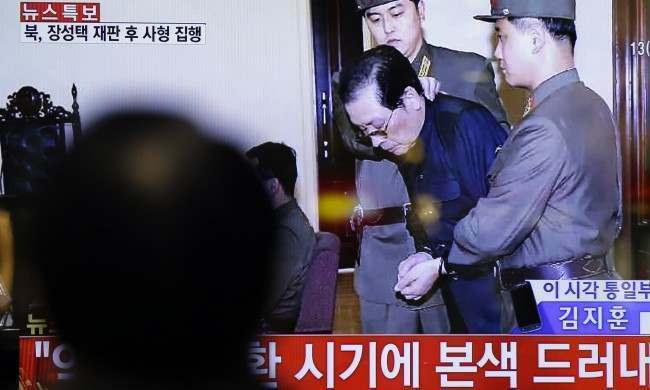 The Korean Central News Agency said Jang wanted to be Supreme Leader, seeing the death of Kim’s father, Kim Jong Il, in December 2011 as a chance to take the throne. He tried “to overthrow the state by all sorts of intrigues and despicable methods with a wild ambition to grab the supreme power of our party and state”. Whoever writes the North Koreans Press releases is a master of the bombastic. Jang is the “traitor to the nation for all ages”. He is ‘’worse than a dog”. He is “despicable human scum”. The White House says this is “another example of the extreme brutality of the North Korean regime”. That the’s US that executes its prisoners. 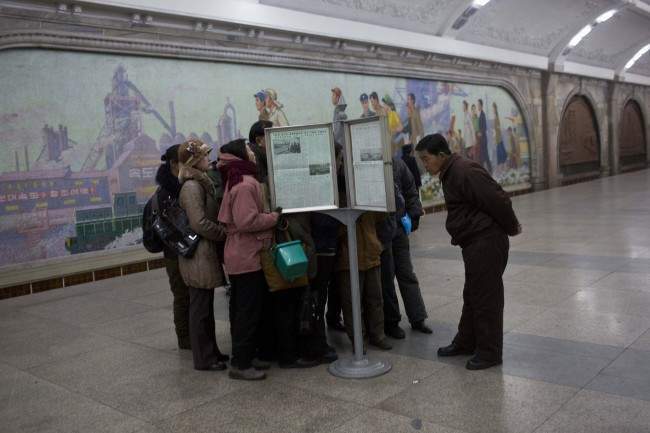 Pyongyang, December 12 (KCNA) — There has been a heavy fall of snow here on Wednesday and Thursday. The snowfall deepens the Korean people’s yearning for leader Kim Jong Il, who left them amid heavy snowfall two years ago. On the day of the ceremony of bidding the last farewell to him, citizens took off their clothes and put them on the snow-covered streets where the hearse was passing. In fact leader Kim Jong Il had made a ceaseless journey of field guidance for the wellbeing of the people, in disregard of weather conditions, until the last moments of his life. Though he was in bad health condition in December 2011, he continued his field guidance. The Korean people had always wished him good health, singing such songs as “Where Are You, Dear General?” and “We Believe in You as in Heaven”. Witnessing the snowfall, they are now hardening their will to carry out Kim Jong Il’s behests on building a thriving socialist nation without fail, under the guidance of Marshal Kim Jong Un. Pyongyang, December 12 (KCNA) — As already reported, the chance and alien elements who had made their ways into the Workers’ Party of Korea committed anti-party, counter-revolutionary factional acts. They expanded their forces through factional moves and dared challenge the party while attempting to undermine the unitary leadership of the party. In this regard, KCNA had an interview with teachers and students of Kim Il Sung University. A sledgehammer blow should be delivered at anyone who goes against the single-minded unity of our people around supreme leader Kim Jong Un. The recent case has hardened the people’s will to remain loyal only to him. The purge of the group represents public mindset to invariably follow the respected Marshal Kim Jong Un. No one can dampen their strong will to hold him in high esteem as the center of unity and leadership.